Kelly MacNiven experienced postpartum depression after the birth of her son, Carter, in 2012. Today, she is an advocate for Postpartum Progress, a nonprofit dedicated to supporting mothers after the birth of their children. On Sunday, MacNiven will lead Climb Out of the Darkness, a hike designed to raise awareness about maternal mental health. Kelly MacNiven isn’t afraid to talk about her postpartum experience. As a volunteer for Postpartum Progress, an extensive online resource for women experiencing problems after birth, she distributes educational materials to doctors’ offices, gives talks and offers peer support as someone who has been through it. “This is part of my job as a Warrior Mom ambassador, to share my story because I think it’s so important to talk about it,” she said. MacNiven will be climb leader for Durango’s second annual Climb Out of the Darkness on Sunday. The event aims to raise awareness about maternal mental illness, which includes postpartum depression, anxiety, obsessive compulsive disorder and psychosis. The symptoms are more serious than the “baby blues” and can include insomnia, lack of concentration or focus, feelings of anger or irritability, feelings of disconnection, racing thoughts or a sense of dread. It’s an issue that MacNiven, 29, knows all too well. ‘It hit me like a freight train’ MacNiven and her husband, Casey, were living in Austin, Texas, in 2012 when she was pregnant with her son, Carter. From the beginning of her pregnancy, she feared she might have problems after the baby was born. She said that her symptoms began before she even got home. After six weeks, MacNiven said she felt like she just couldn’t function. She said she knew something was wrong because she wasn’t sleeping. The insomnia wasn’t her only symptom. At that point, MacNiven knew she needed help. MacNiven and her husband decided to move back to Durango so her family could help. All of this happened within eight weeks of her son’s birth. ‘Self-care is so important’MacNiven said she has learned that before a mother can take care of her baby, she needs to make sure she’s taking care of herself. And all those offers from friends and family for baby-sitting services, laundry and meals? Don’t be afraid to take people up on them, she said. Talking to your doctor is also key. And checking out resources such as Postpartum Progress can help. This online resource helps raise awareness, fight stigma and provide peer support for women experiencing maternal mental illness. ‘You’re not crazy’This can happen to fourth-time moms, fifth-time moms, even if you’ve never had it before, MacNiven said. But fortunately, there are resources, such as Postpartum Progress. You just have to get over being scared, MacNiven said. “It’s really scary, having to talk to a stranger about your most deepest issues, it’s hard,” she said. “But that’s why Postpartum Progress is so important to me because they’re a community of moms who have been through it, and for me, that was a big support. A case of “baby blues” is not uncommon immediately after birth, but what happens when you feel like you may be experiencing something more than that? 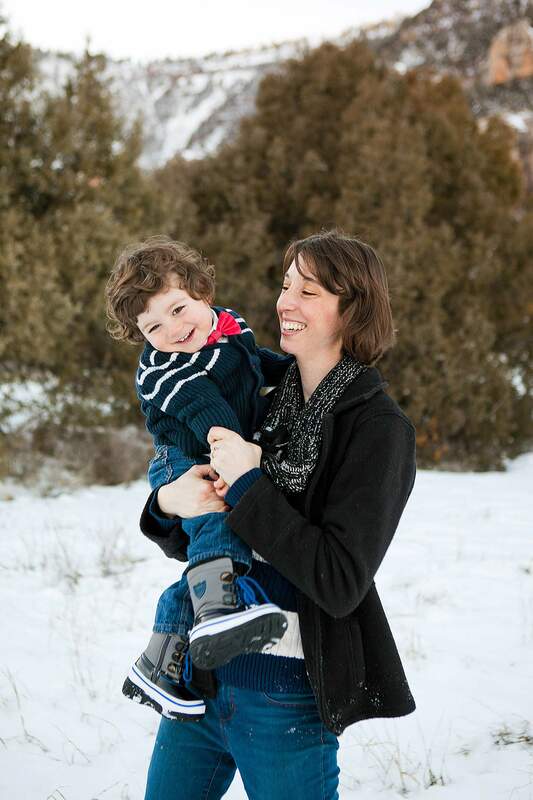 “A red flag is just not feeling like yourself,” said Liv MacKenzie, a licensed counselor in Durango who has helped women having problems during the postpartum period for more than decade. Environmental factors. For example, a lack of a support system.Biological factors. Your family/personal health history. Socio-economic status.The health and wellness of your new baby.Any existing medical conditions.A traumatic childbirth.Sleep deprivation is also a major factor that can make symptoms worse, she said. MacKenzie said the best way to help keep major problems from developing during the postpartum period is to be proactive. “If we know (these risk factors) about you, then we can prepare,” she said, adding that you should have a plan in place before the baby is born: Who’s in your support network? Will you be taking medication? MacKenzie, who is part of a behavioral health team at Pediatric Partners of the Southwest, said that something that can keep mothers from seeking help is a feeling of shame, that they’re not living up to society’s ideals of what a “perfect” mom should be, and that the scary – called “intrusive” – thoughts they may be having are bad. And when it comes down to it, knowledge is indeed power. “Parents need information before a crisis hits so they can plan,” she said. Climb Out of the Darkness, an event to bring awareness to maternal mental health disorders, will be held at 10 a.m. Sunday at Animas Mountain Trail, West Fourth Avenue and 32nd Street. Mothers and others will hike to symbolize their collective rise out of the darkness and stigma of maternal mental illnesses. The climb is a benefit for the nonprofit Postpartum Progress. There’s a suggested donation of $10, and registration is required.